InterNations Silicon Valley Social - Spring is in the air! 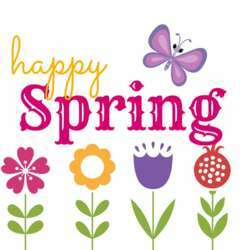 Let’s welcome spring with our international friends at the Old Spaghetti Factory. This family style restaurant has a charming bar area and they happily welcome our InterNations group. Entry Fee: Cash only at the door will be accepted. For this event, we would like to ask volunteers from our community to greet and check-in guests at the door (1 hour shift). Complimentary entrance will be provided to those interested. To express your interest, please send a private message to Denise. NOTE: Due to the large size of our group, individual tabs, and the additional wait staff added to serve our group, an automatic gratuity (service tip) of 20% will be added to your bill for food or drinks. (example: 20% on a $10 drink is $2.00) Thank you for supporting our venue and the great service they provide.